Robert Macon returns to California to face the demons of his past, where he makes a shocking discovery that the choices he made years ago have had significant ripple effects. And through this he confronts the biggest challenge of his life. The demons originate from events in the late 1960's where a young man, heads off to a small Christian college. There he expects to find friendship, love and God. Instead, he encounters a set of strict rules and forces set against him. So he turns to taste the psychedelic counterculture of flower-power and free-love, which leaves him emotionally empty. Caught between two conflicting worldviews he searches for deeper spiritual meaning. 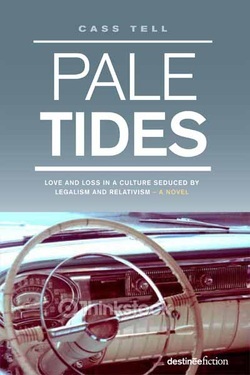 In Pale Tides, Cass Tell engages readers in a humorous yet dramatic journey of soul-searching and self-discovery. The book provides a vivid tapestry of life in California during the time of the Cultural Revolution of the 60's. And it is a challenge to consider the impact of modern day culture on our lives, and the implications of our choices.